Definition at line 35 of file Downloader.h. Definition at line 37 of file Downloader.h. Definition at line 38 of file Downloader.h. References canDial(), dial(), and print(). Definition at line 61 of file Downloader.cc. Definition at line 45 of file Downloader.h. Definition at line 46 of file Downloader.h. 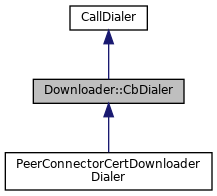 Referenced by Downloader::callBack(), and Downloader::nestedLevel().